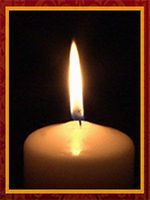 On Thursday, March 10, 2011, Albert F. Garyantes of Lancaster, PA, passed away peacefully at Hospice of Lancaster County. Al was born September 24, 1934 in Wilmington, DE, to Albert F. and Mary (Scheing) Garyantes. Al spent his childhood in Wilmington, DE, and lived at the Manor North campus of Willow Valley Retirement Communities at the time of his passing. He is survived by his sister, Rita (Garyantes) Willis and husband, Jim, of Hockessin, DE; brothers, Frederick and wife, Marian, of Alexandria, VA, and Lawrence and wife, Marge, of Belhaven, NC; daughters, Elaine and George Mummert of Lancaster, PA, Dianne and husband, Joseph Bierman, of Mantua, NJ, and Joan of Belmar, NJ; son, Michael, and wife, Tina, of Warren, NJ; five grandchildren, Susan, David and Molly of Warren, NJ, and Jamie and Hanna Longenecker of Lancaster, PA; and many nieces and nephews. He also is survived by his former wife, Barbara Garyantes, of ­Wilmington, DE.